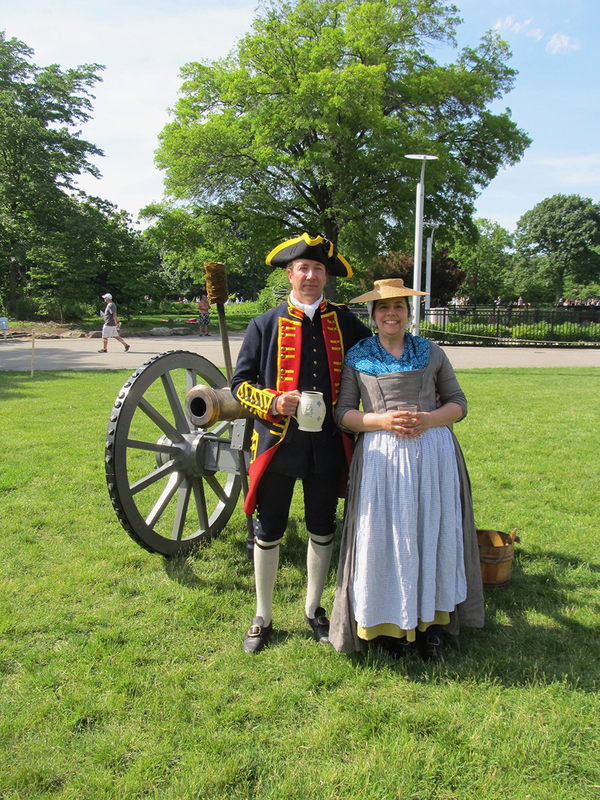 The Fort Pitt Museum proudly presents living history programs in Point State Park throughout the summer, where reenactors demonstrate daily life at Fort Pitt during the 18th century. 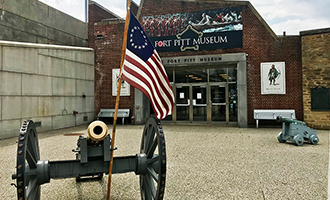 The museum works with talented reenactors (also referred to as “interpreters” or “living historians”) to show visitors how men and women lived when Fort Pitt called the Forks of the Ohio home. We caught up with reenactor Elizabeth Hobbs to get her take on bringing the 18th century to life in the heart of downtown Pittsburgh. Elizabeth Hobbs: At its broadest, it means to recreate something from the past. But the term has become a bit passé, as it’s had a strong association with recreations of battles and specific historical events. I like the term “living historian.” The term has a much broader scope of exploring and presenting everyday life from a particular period. FPM: How did you get started as a living historian? EH: When I was in college, I had coworkers who kept telling me all about this group of people who were reenacting the Middle Ages. It sounded like a lot of fun and a chance to get to know people with like-minded interests. EH: Studying the various aspects of life within a particular place and time, as well as getting to practice and learn skills which existed historically. It is incredibly satisfying to study an original garment, for example, and then make a copy of that item and have it fit and function as it would have historically. 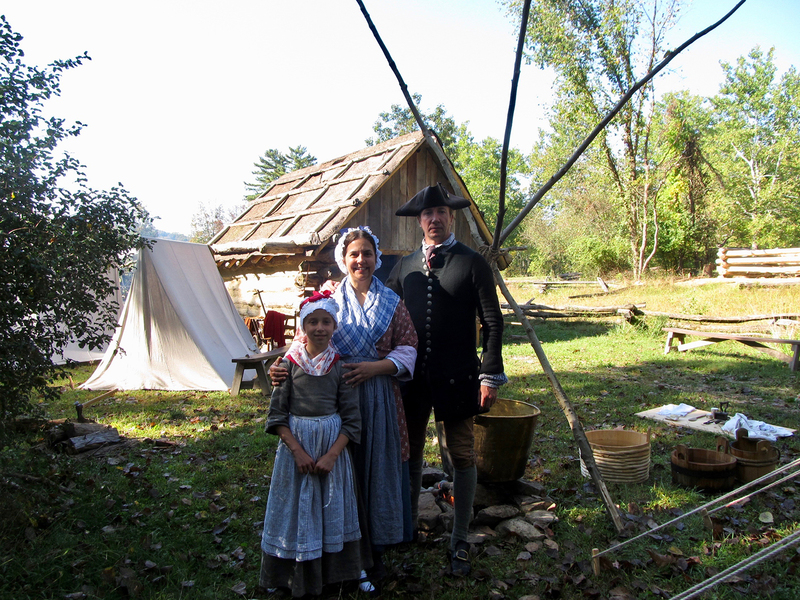 FPM: How do you prepare for a living history program? What goes into bringing 18th century Fort Pitt to life? EH: I need to know the year being portrayed and the focus of the program. That will guide who I’ll be portraying and what I’ll be doing when interacting with the public. 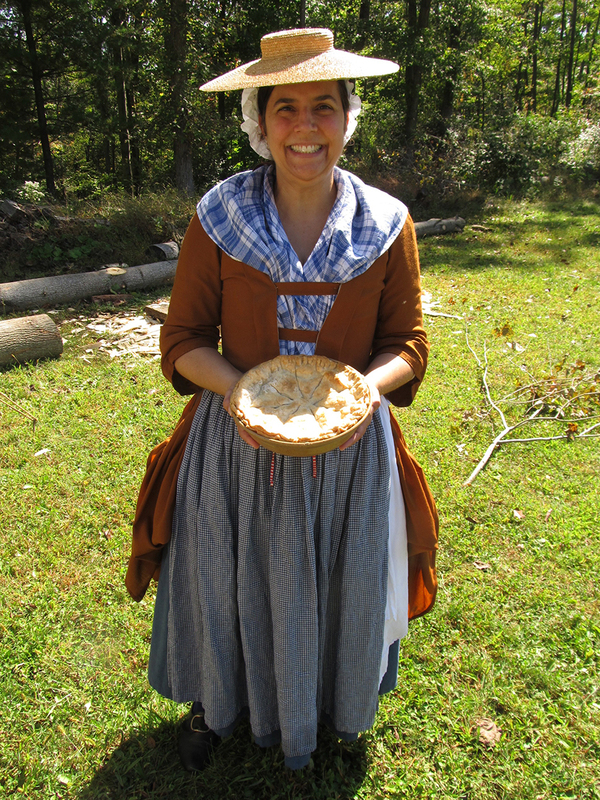 FPM: Why do you think living history programs are valuable for educating the public? EH: It’s an opportunity to take history out of a book and put it into someone’s hands. It’s a full-sensory experience that can give the public a much deeper understanding. Stay tuned for more Q&As with living historians at the Fort Pitt Museum throughout the summer! Kim Roberts is the communications coordinator at the Heinz History Center.